The Scotswood is 2,392 sq.ft. 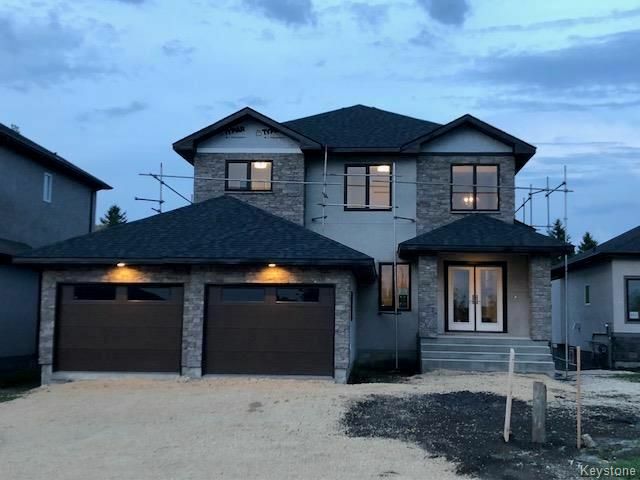 2 storey, 3 bedroom, 2 ½ bath home of luxury design. 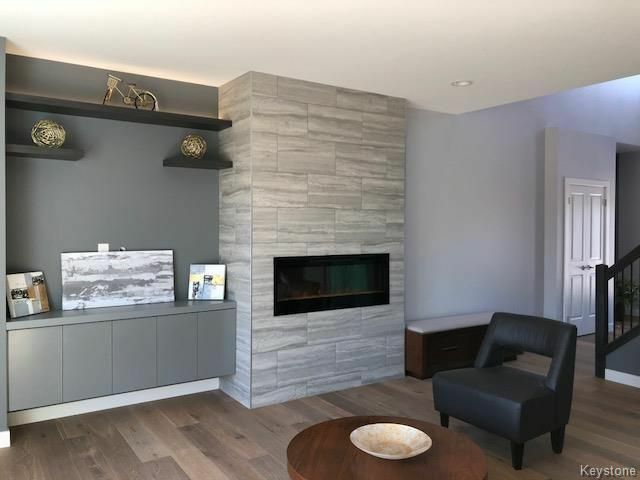 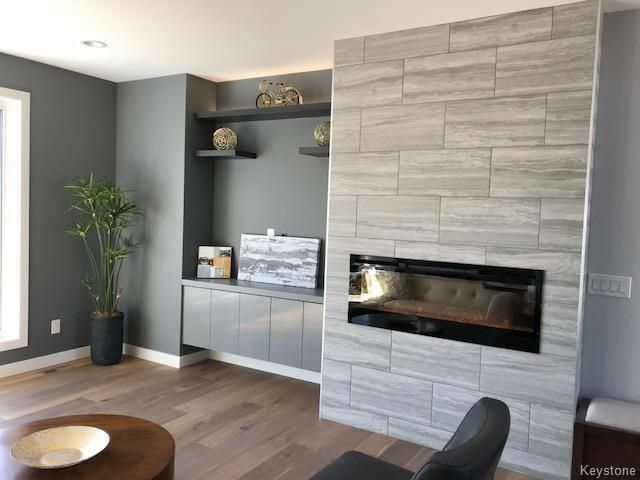 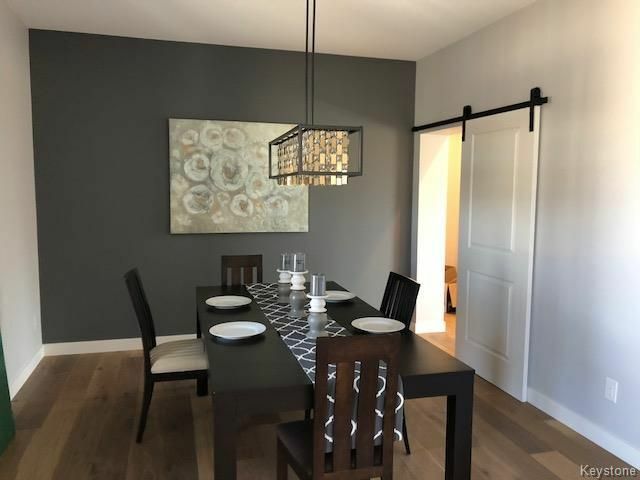 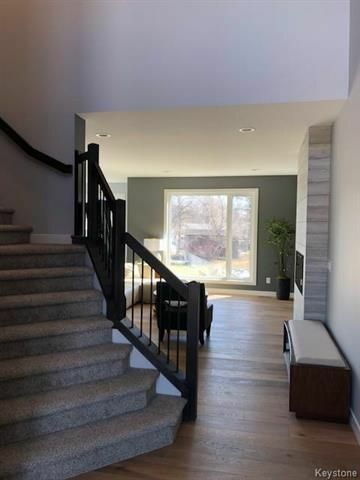 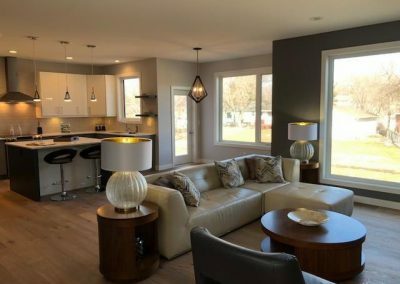 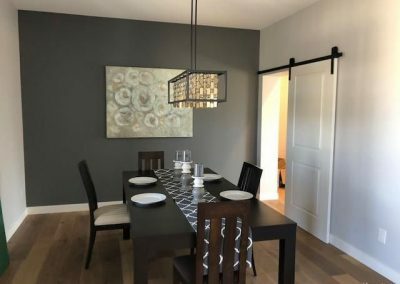 The main floor 9’ ceilings, with open-concept layout is suited perfectly for entertaining as its large great room features built-in cabinetry, accented by floating shelving, electric marquis fireplace complemented with ceramic tile from floor to ceiling. 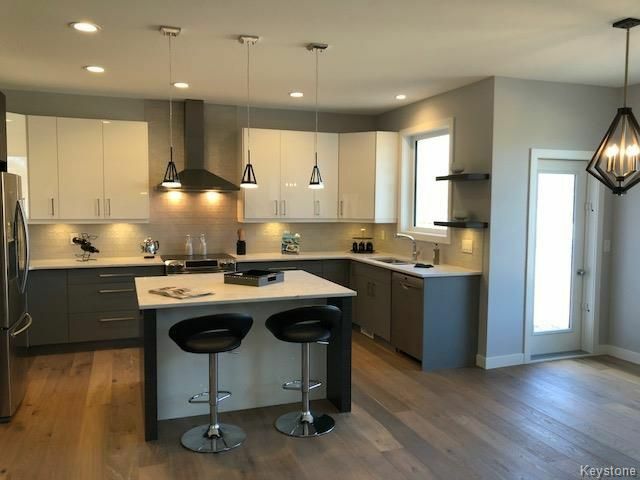 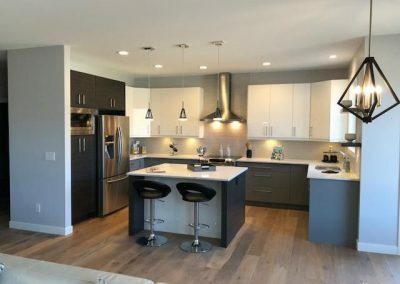 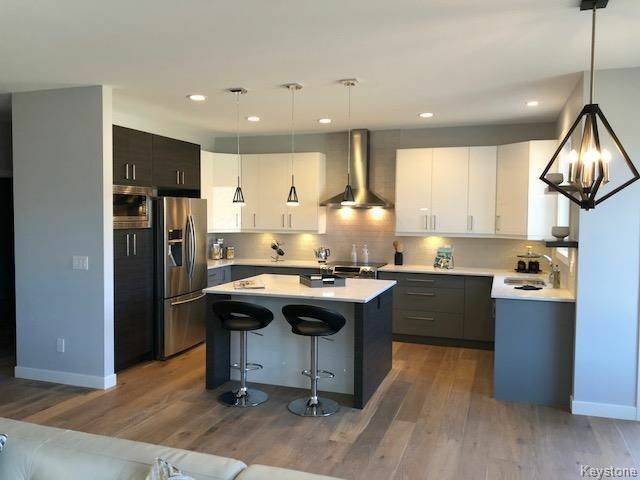 The gourmet kitchen features plenty of counter space, with ceramic tile backsplash, quartz countertops, stainless steel appliances and again accented with floating wood shelving. 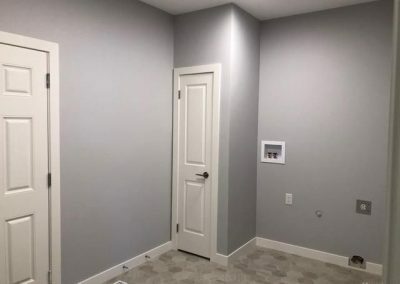 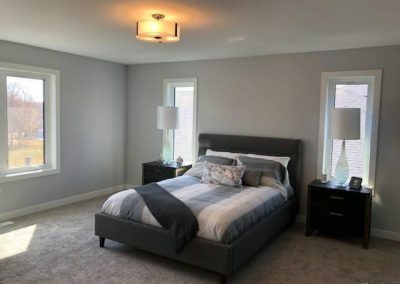 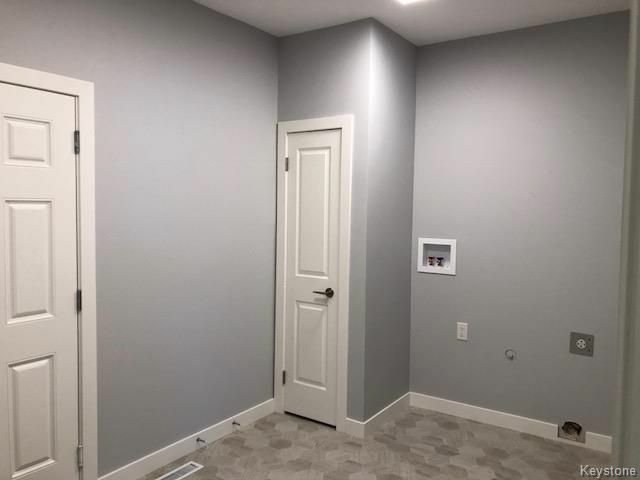 As you proceed upstairs, you will find 3 well sized bedrooms. 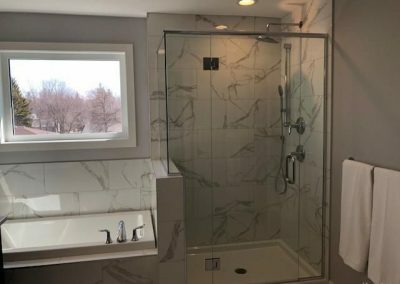 As you enter the 5 piece Ensuite, you will feel that you have entered your own personal spa. 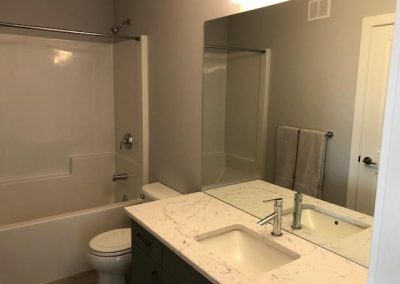 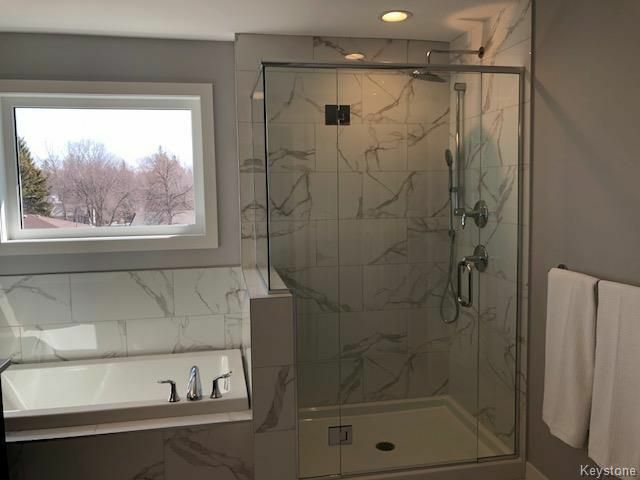 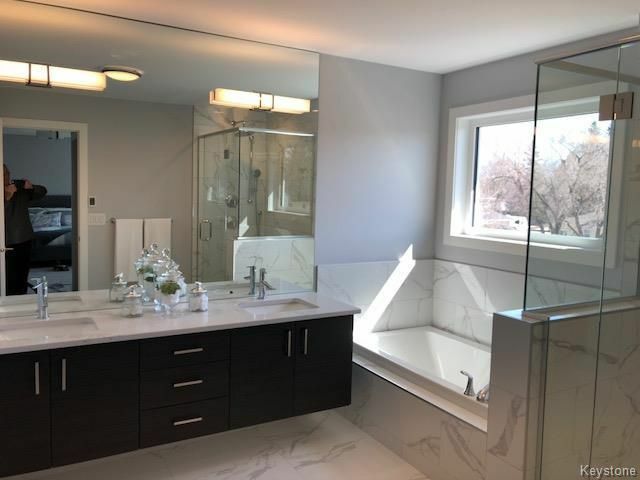 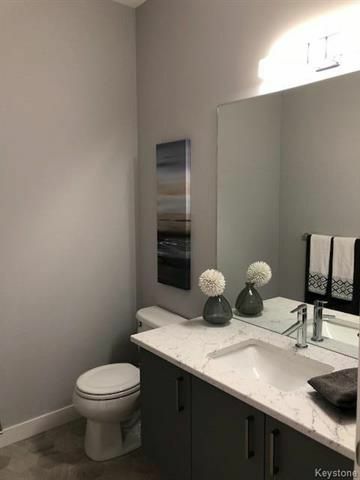 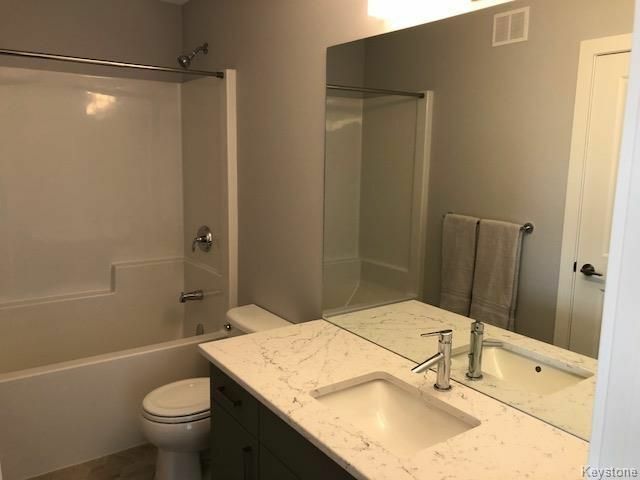 Custom glass and tile shower, 24” x 24” floor tiles with in-floor heating, double vanity sinks complimented with quartz countertop. 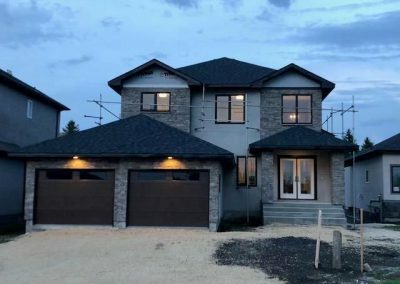 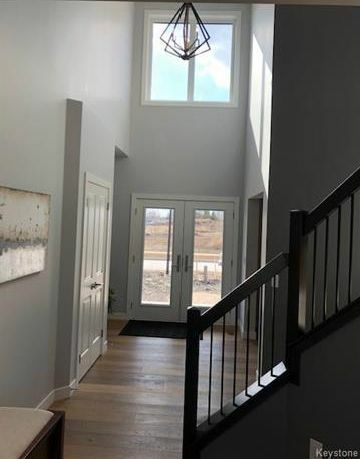 The exterior is finished with stone, an expanded double garage, double glass entry doors and an abundance of windows throughout.